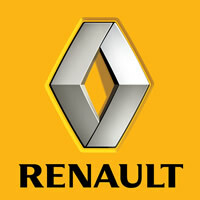 Established in the year 1899 the Renault is a manufacturer of cars from France. The organization is known for producing a larger range of vans as well as cars also in past it was associated with truck, tractor, tank and bus. In the year 2011 this organization was 3rd biggest automaker in Europe production wise and it came behind PSA and the Volkswagen also in the same year it was the ninth biggest maker of automobiles production wise. The name of current president is Carlos Ghosn and Government of France has the ownership of fifty percent of Renault's share. As a component of the alliance of Nissan and Renault the organization attained the status of 4th largest group of automotives. The main market of company is in European region and it is highlighted for the part it plays in motor sporting.